Replacement HEPA and Activated Carbon Filters for the Afinia H+1 3D printer. 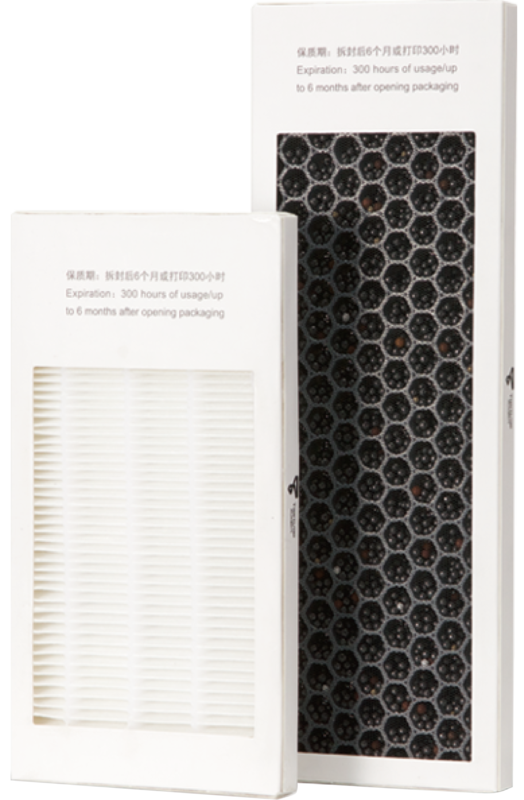 These large filters greatly reduce Ultra Fine Particle (UFP) emissions and eliminate orders produced from 3D printing. The H+1 utilizes a powered recirculating air filtration system that has been shown to reduce emissions by 91% compared to other 3D printers, making the H+1 one of the safest 3D printers to use in the classroom or office. Recommended lifetime for the filter set is 6 months or 300 hours of use, whichever comes first.